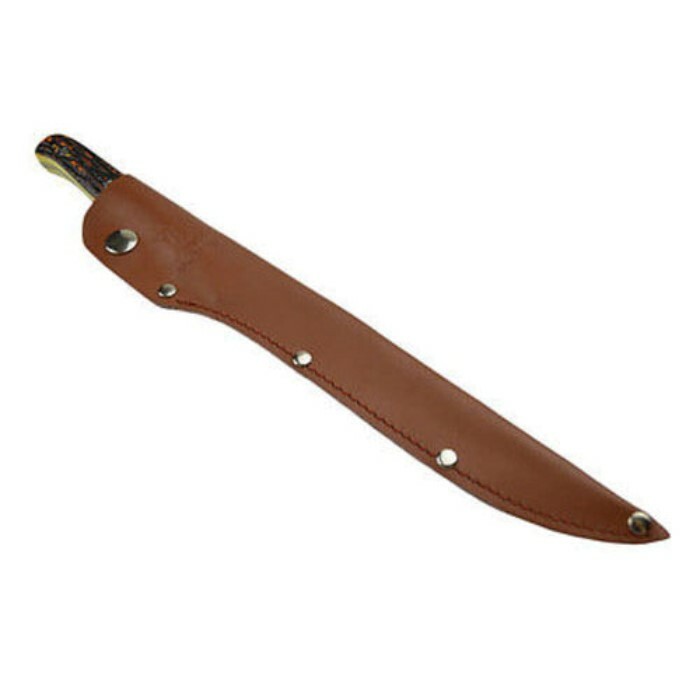 Elk Ridge Faux Jigged Bone Fillet Knife with Genuine Leather Sheath | BUDK.com - Knives & Swords At The Lowest Prices! Slender, flexible, handsome and built to last, the Elk Ridge Faux Bone Fillet Knife has everything you need in a top quality fillet knife, yet it’s surprisingly affordable - especially ideal for anglers prone to dropping tackle in the water! 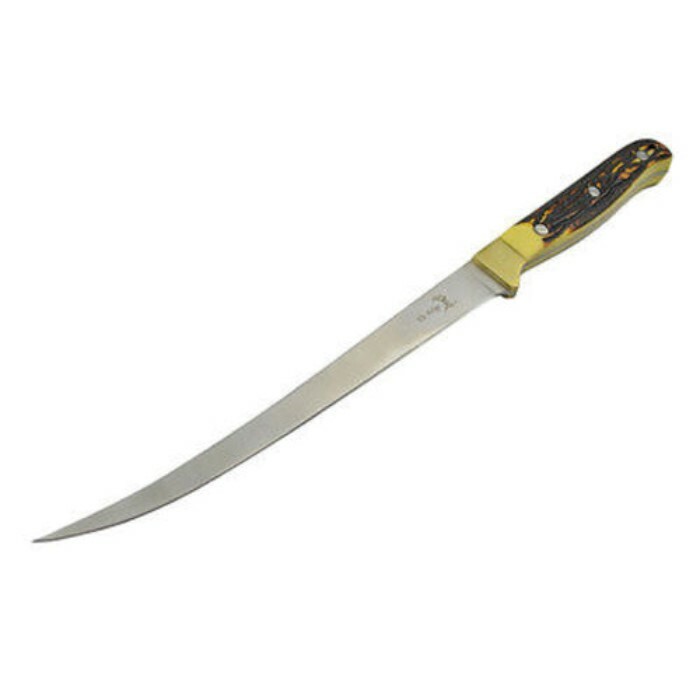 With its razor sharp 7 1/2" stainless steel blade, however, this fine fillet knife is great for even the most careful, discerning fishermen, as well. The blade is tough and resilient, yet offers ample “give” to make quick work of filleting fish. It’s also great for trimming fat and membranes from meat, and makes razor thin slicing a breeze. 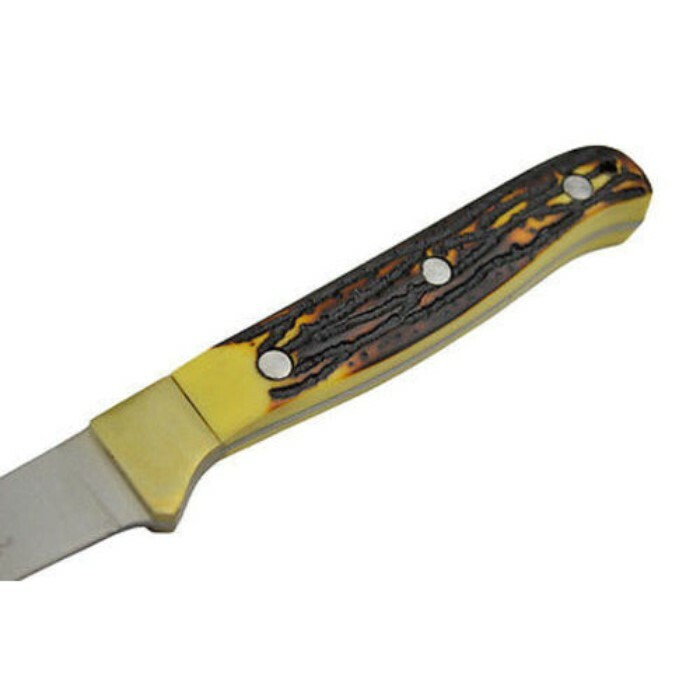 The faux bone handle is elegantly jigged for improved grip and traditional appeal. 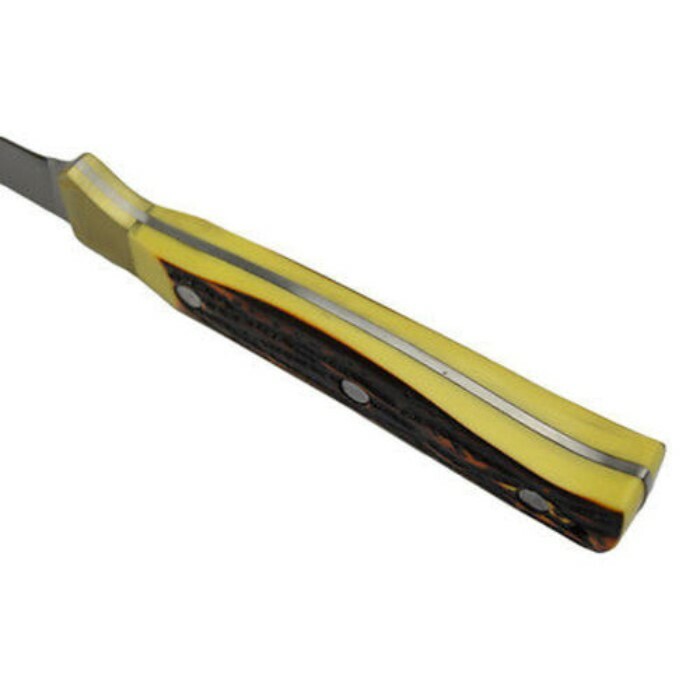 Delicately painted in subtle tones of amber, gold and black, the handle is indistinguishable from real bone, yet offers a lighter feel and lower price tag, to boot. 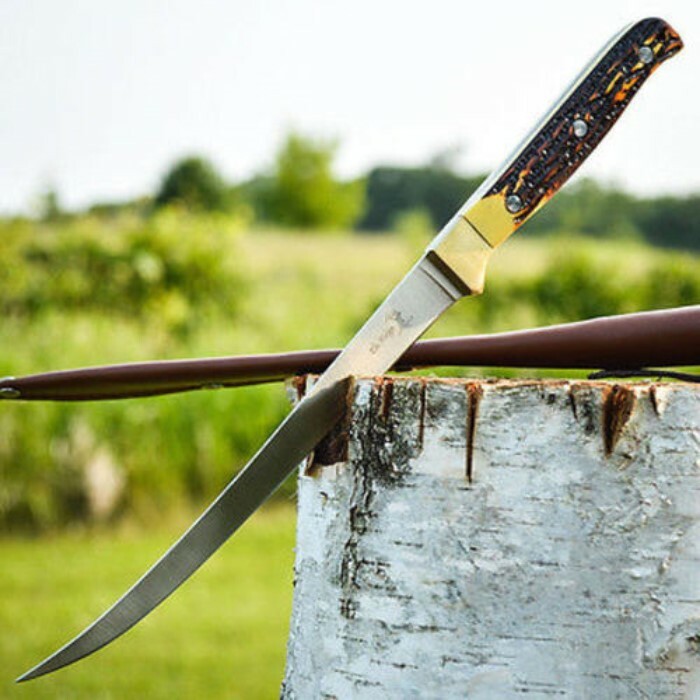 Housed in the included genuine leather sheath, the 12 1/4" Elk Ridge Faux Bone Fillet Knife will last for generations, always a shining star in your tackle box or kitchen. The knife is surprisingly good quality for the price. The sheath is basically junk but all in all it is definitely worth $15.00.